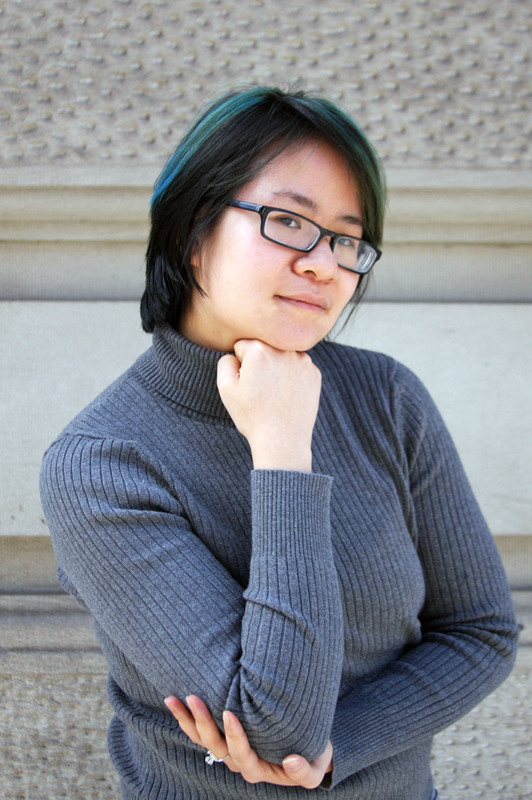 Today’s interview is with Diana M. Pho, author of the essay “Breaking Mirrors” in Invisible 2, edited by Jim C. Hines. We’ve been thrilled to feature interviews from several authors from this anthology recently – you can read my review of Invisible 2 here. I loved how, in talking about Julie of the Wolves in your essay for Invisible 2, you expressed how even though later you learned that the book had problematic aspects, you took something positive from it. How should we approach books that have both positive and problematic elements to them? No work of art is perfect, and I think people fear being judged by liking something that is imperfect. Everyone has their own boundaries about what they like and what they don’t, and it can feel very personal when one’s boundaries are being examined. Interacting and creating art should prioritize a code of ethics, for artists and people who enjoy art. I don’t think we can use the excuse, “Art for art’s sake!” anymore, because the meaning of art doesn’t exist in a vacuum, and to claim that it does is to effectively render art meaningless. It’s always important to keep in mind that art-making is subjected to many different types of responses. Of course, there’s entertainment value– no one wants to be bored by something (unless boredom is the point, and hey, I don’t have any desire to be an expert in ennui). There’re also the internal responses a participant has with the work of art and the external conversation among other participants. And those things can be messy and complicated. No wonder the internet explodes whenever someone points out something “problematic about their fav.” (Joss Whedon isn’t a feminist! Slash can fetishize queer relationships! There aren’t any PoC main characters in this thing!) Everyone gets their hackles up because people associate their personal happiness with the stuff they like. They don’t want to think that their happiness is false or flawed. Acknowledging the weaknesses of an artwork doesn’t shortchange my personal relationship with it, because I know that thing is imperfect (and so am I).My personal relationship with Julie of the Wolves changed over time. That’s also significant to acknowledge. People can grow and change by art in many ways. As much as the book helped me when I felt isolated by my family’s identity, recognizing its racist flaws also developed my sense of political awareness. I am comfortable with seeing both; it’s an honesty that develops over time and thought, but ultimately is rooted in the initial love I had for the book. What draws you to science fiction, fantasy, and steampunk? It’s potential. The ideas. The feeling that our own lives exist on the surface of a deeper emotional and intellectual world, and SFF helps brings those qualities out to the forefront. I’m a big fan of your blog, Beyond Victoriana. what, in a nutshell, is your advice for people who want to explore and enjoy Steampunk without glorifying the British Empire (including its colonialism, sexism, and racism)? In a nutshell: own up to the bad stuff. Don’t romanticize it or explain it away. You also get much richer stories in dealing with the darker side of history and find may even find new spots of light. People tend to shy away from addressing these more serious implications of history because they don’t want to spoil the sense of fun to it. But good storytelling — including the fun adventurous stuff — has roots in conflict.To me, why not address all of the social conflict in your storytelling — it only makes it more interesting, increases the stakes for your characters, and makes readers more invested in them. So beyond building verisimilitude in stories, it makes creators better creators. It’s summer – should we be lucky enough to head to the beach, what book should we put in our beach bag? I’m currently in the middle of both Cixin Liu’s The Three-Body Problem and Lev A.C. Rosen’s Depth, so I’ll rec those. 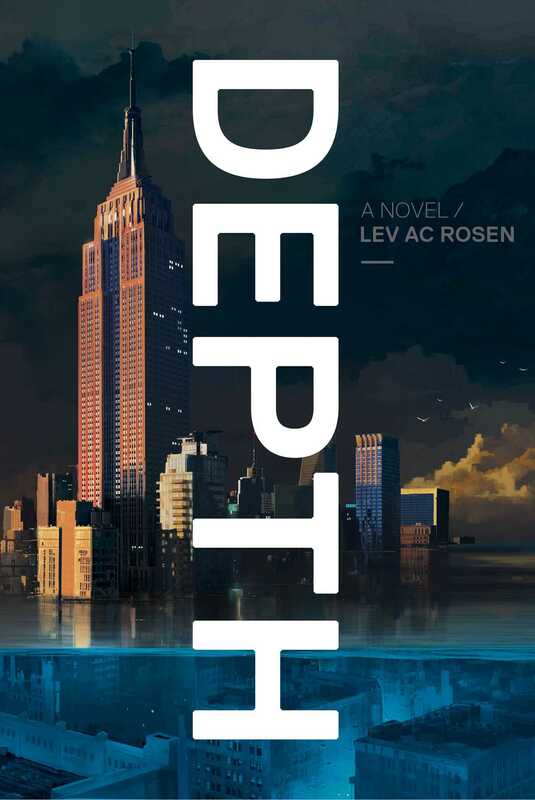 The Three-Body Problem is a meaty sci-fi read, and Depth is a stylish post-apoc noir set in a flooded New York. I don’t read your typical fluffy beach reads. Diana M. Pho is an editor at Tor Books and blogs for Tor.com. She is also a published scholar, activist, performer, and general rabble-rouser. She is best-known for running Beyond Victoriana, an award-winning, US-based blog on multicultural steampunk under the moniker Ay-leen the Peacemaker. For several years, she has traveled the country as a professional convention speaker about social justice issues and fandom. Her most recent publications include the introduction to The Best of Spanish Steampunk, edited by James and Marian Womack and a forthcoming article in Like Clockwork, edited by Professors Brian Croxall and Rachel Bowser. You can follow her on Tumblr and Twitter. 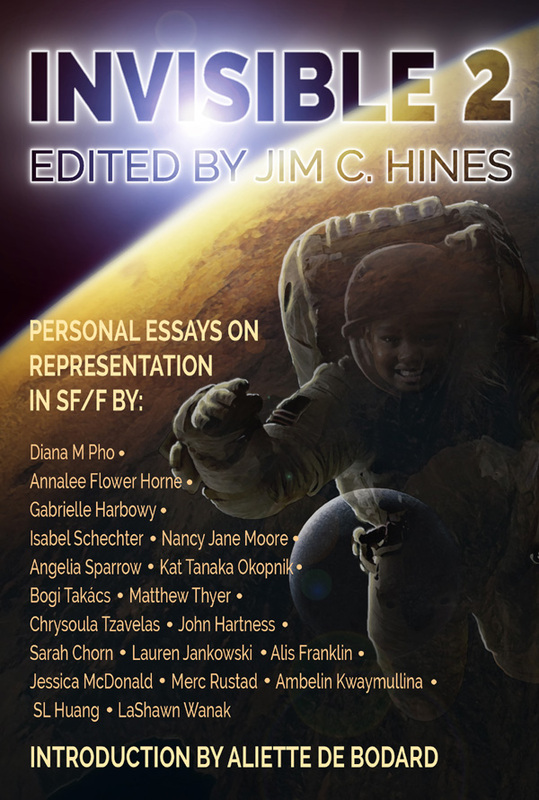 Invisible 2 is the second anthology of essays about representation in science fiction and fantasy edited by Jim C. Hines. When Invisible (the first collection) came out I had the honor of interviewing several contributors to the anthology as well as editor Jim C. Hines (disclosure: if he has a cult, please consider me to be in it as I think he’s swell). Over the next couple of months, I’ll be running interviews and guest posts by contributors to Invisible 2. Invisible 2 has a broad range of essays, dealing with issues including migration, sexuality, physical appearance, and disability. The introduction is by the amazing author Aliette De Bodard. There’s also a recommended reading list at the back of the book that is just fantastic and should keep me busy for a long, long time. Overall, I felt that this collection was not as strong as the first collection, but it’s still a must-read for anyone interested in the issue of diverse representation (and if you aren’t interested, you will be after you read this anthology). The inclusion of an essay by a straight, white, cis man and an afterword by Jim c. Hines (who also fits the description) is an interesting choice that I felt enhanced the anthology without co-opting the conversation. Both authors talked about why diverse representation is important for them. I thought that was an excellent move – I didn’t feel that they took too much space away from other authors and it gave the issue a context that this is everyone’s problem. We ALL need diverse books (and television shows, and movies, etc). We are all enriched by a diverse media and deprived by one that limits itself to only a few voices. In reality, representation is more like constructing your fancy glass houses, then letting everyone else smash them apart and pick up bits to take home. Your art can easily cut others deeply, resulting in infection and scars. People may step around the broken fragments to protect themselves, or gather them carefully with padded gloves. And, on occasion, someone may pick out a shard from the dirt because it had sparkled like a jewel in their hand. Gorgeous! I can’t wait to share some interviews and guest posts with you – in the meantime be sure to check this anthology out.